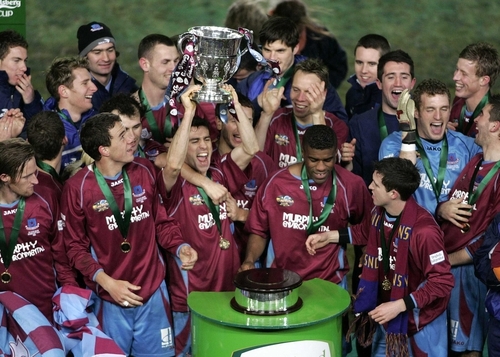 The attendance of 24,521 in addition to the RTÉ Two television audience for last Sunday’s FAI Carlsberg Cup final brought the attendance and viewing figures to over 1.5 million for the 2005 season. Sunday’s coverage of the FAI Cup final showed a rating of 4.7, peaking at 7.5 and a share of 21.9, peaking at 31.7. This gave an average viewing figure of 179,000, peaking at 285,000. 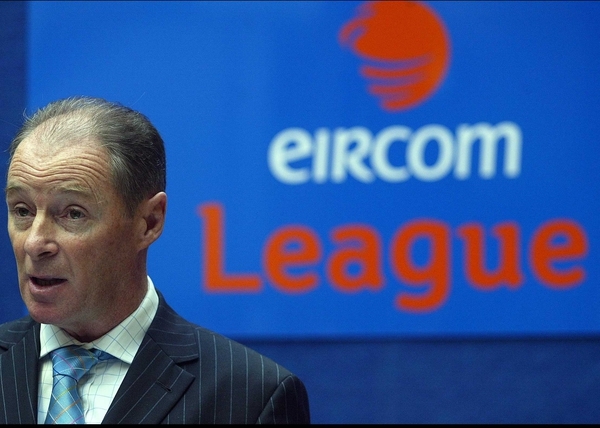 Total attendance figures for the season for the eircom League, FAI Carlsberg Cup, Setanta Cup, eircom League Cup and European competitions are up by 6% to 520,000 with the Cork City v Derry City game on 18 November drawing the highest league attendance of just over 8,000. A total of 44 games were shown live on television by RTÉ, TG4 and Setanta Sports while a further three had a deferred broadcast giving viewing figures of just over 1 million throughout the season. The highest peak viewing at 355,000 was for the final eircom League game of the season between Cork City and Derry City, while last Sunday’s FAI Carlsberg Cup Final drew the highest peak viewing for the Cup of 285,000. FAI Chief Executive Officer, John Delaney, in welcoming the figures said, “the decision to strike the deal for domestic football with our television partners has been truly vindicated while the greater exposure of domestic football has led to increased attendances at the games”.